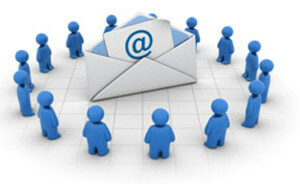 Email lists are an incredibly useful marketing tool for keeping those customers you are already connected with in the know. It helps to keep them engaged and informed, but emails also serve another purpose. It helps to keep your company at the front of everyone’s mind without hard selling techniques. More than likely those on your email list will be the first to know about promotions, sales, events, new products, and new services. If you are not sure why you should grow your email list, think about it like this: don’t you want that first reach to go as far as possible? 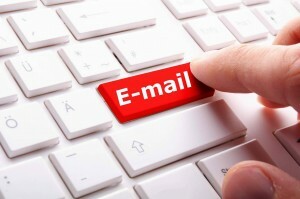 There are many ways you can work at growing your list of email subscribers. Below are just five very basic ideas which can help to drastically improve your list. Using all five of them in conjunction with one another can provide the best results. Word of mouth may just be one of the oldest techniques in the book. It’s stuck around because it actually works. People are more likely to purchase or do something if someone they trust tells them to versus if they see an advertisement. The best place to start is in your own innermost circle. Ask your friends, family, and neighbors to sign up for your email list. Politely ask if they would ask others to do the same. If you employ people in your company, whether it be one or hundreds, tell them to do the same as well. The more people promoting via word of mouth the better. Use signing up for your email subscription as a way for people to enter giveaways. This is an easy way to increase your list quickly over a short period of time. Keep in mind that this growth will not be long term, but it is fantastic for short term growth. Promotions are able to work at growing your list for a longer period of time than giveaways. Offer an initial coupon for those who sign up to receive your emails. For example, you could send out a promotional code for ten percent off their next purchase to every person who signs up. This offers people an incentive for getting your emails. 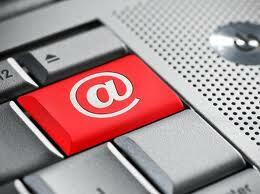 From that point your emails can keep them engaged and interested. Social media is useful for numerous things, and growing your email list is one of them. As a secondary source it can be used to promote blog posts or giveaways which in turn ask for people to sign up. As a primary source it is also invaluable. 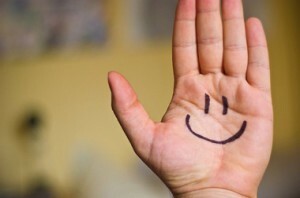 Gently prompt your followers to sign up for your email list in your posts. The best way to do this is first offer them some valuable information. At the bottom of the post tell them that if they would like to read more that they can sign up for your email list. Another option is to reward people for referrals on social media sites. Ask your followers to first sign up for your email subscription. Follow that up with offering varying rewards for people who bring in the most referrals for a specific amount of time. Ensure that it is a place with optimal visibility. For example, at or near the top of your sidebar. This shows up on all of your pages, and people will be able to see it. If possible, use an image as your sign up link. This stands out more without being obtrusive. Think about the wording of your call to action carefully. You want it to be compelling and unique without sounding too sales oriented. You may want to think about including a counter of everyone who has signed up. This could serve to further prompt sign ups. If you have a physical storefront you can leave an email sign up sheet right by the register. When customers check out you can have your cashier gently remind them that you do have an email sign up sheet and that they can leave their email address if interested. Of course there is a second option. The chain store Five Below asks all customers for their email address when they check out. This is a more forceful way of getting sign ups but it has proven to be incredibly effective.